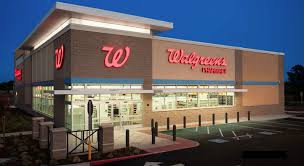 Here are the best deals at Walgreens for this week! Pepsi, 7 Up, Dr Pepper, A&W, Sunkist or Canada Dry Products 12-pack 3/$9 *soda prices vary by region. Final cost after points = $4 – $1.33 each! Final cost 50¢ – Only 25¢ per can! Final cost 69¢ each for Lipton, when you buy 2! *Check your Ibotta for possible cash back offers on Lipton! Final cost 3/$9 – $3 per Pizza! *Check your Ibotta app for possible DiGiorno cash back offers. Final cost 2/$1.75 – 88¢ each! And, use the $1/2 M&M’s 9.5 to 11.4 oz (select varieties) Walgreens store coupon found in the February Savings Booklet, available to digitally clip to your balance rewards card (pick up free booklet in store). Final cost $3 – Just $1.50 per bag! Use the $1/2 Hershey’s Valentine Chocolate 5.9 to 10.5 oz Walgreens store coupon found in the February Savings Booklet, available to digitally clip to your balance rewards card (pick up free booklet in store). Final cost $3.49 each, when you buy 2! Final cost after RR = $2.97 – $0.99 per item! Final cost after RR = $3.49 – Just $1.75 per tube! Final cost as low as $2.96 – $0.99 each! And, use the $1/1 Super Poligrip Denture Adhesive 2.2 or 2.4 oz Walgreens store coupon found in the February Savings Booklet, available to digitally clip to your balance rewards card (pick up free booklet in store). And, use the $1/1 Walgreens store coupon found in the February Savings Booklet, available to digitally clip to your balance rewards card (pick up free booklet in store). Final cost after points = $5.22 – $1.74 per item! Final cost only $0.98 – Just 49¢ each! Final cost after points = $9.97 – $3.33 per item! Final cost after points = $6.86 – Just $1.72 each! Final cost after points = $7.22 – $2.41 per pack! Final cost $2.32 each, when you buy 3! Final cost after you submit for cash back = FREE! Final cost $4 – $2 each! Final cost $4 – Just $2 each! *Check your Ibotta for possible Pampers cash back offers. Final cost as low as 2/$14 – $7 per pack! Final cost after points = $13.72 – $6.86 each! And, use the $2/1 Bausch + Lomb Renu Disinfectant or Multipurpose Solution 12 oz Walgreens store coupon found in the February Savings Booklet, available to digitally clip to your balance rewards card (pick up free booklet in store). Final cost after points = $14.98 – $7.49 per pack! Final cost after RR = $2.90 – $1.45 each! Final cost $3.50 – $1.75 each! And, use the $0.50/1 Angel Soft Bath Tissue 9 big rolls Walgreens store coupon found in the February Savings Booklet, available to digitally clip to your balance rewards card (pick up free booklet in store). Final cost $2.54 – Only 28¢ per BIG roll! And, use the $1/1 Scott Paper Towels 6 rolls Walgreens store coupon found in the February Savings Booklet, available to digitally clip to your balance rewards card (pick up free booklet in store). Final cost as low as $2.94 – 49¢ per roll! And, use the $1/1 Cottonelle Bath Tissue 12 big rolls Walgreens store coupon found in the February Savings Booklet, available to digitally clip to your balance rewards card (pick up free booklet in store). Final cost $2.94 – Just 25¢ per BIG roll! And, use the $1/1 Kleenex Facial Tissue 3 or 4 pack Walgreens store coupon found in the February Savings Booklet, available to digitally clip to your balance rewards card (pick up free booklet in store). Final cost as low as $2.74 – 69¢ per box!